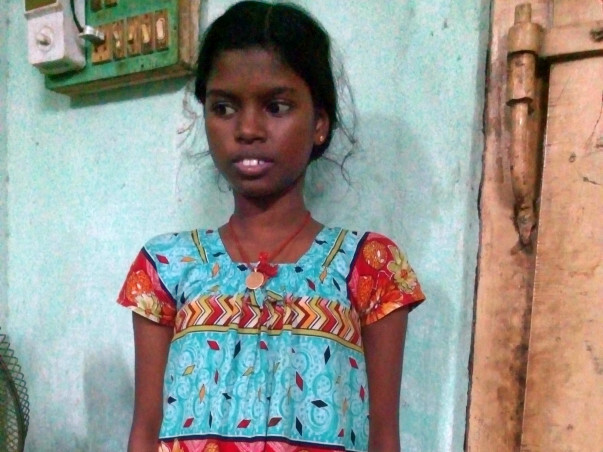 My sister Kamali 15 years old is diagnosed with renal failure and stopper her schooling in Jun 2015. She is undergoing dialysis at my home. Doctor has advised us to do renal transplantation as soon as possible. My parents cannot affort the cost for treatment. We have tried all the options to arrange money for transplant and we are still short of money. 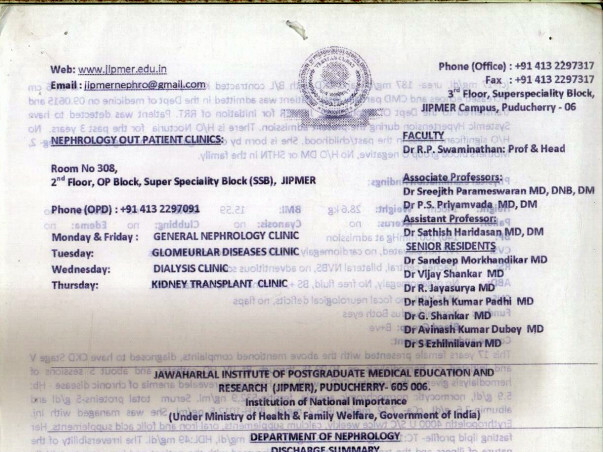 The doctors informed us to do renal transplantation within 9 months. I will soo attach the estimation letter from the hospital. Any small help will bring big relief to our family. I am Boaz, a Milaap Open Fellow and I met Ankit and his father for the campaign they made to raise funds for treating Ankit’s cancer. Ankit is 14 years old now. He was lying on his bed when I reached his home. The room was lowly lit and was smelling of Ayurvedic medicines. Ankit’s father sat beside me and the first thing he told me was that he desired to return all the money that the people have given him through the campaign, once his son gets better. I was wondering what made Ankit’s father think that he should return the donation. I started asking questions to understand the situation in a better manner. 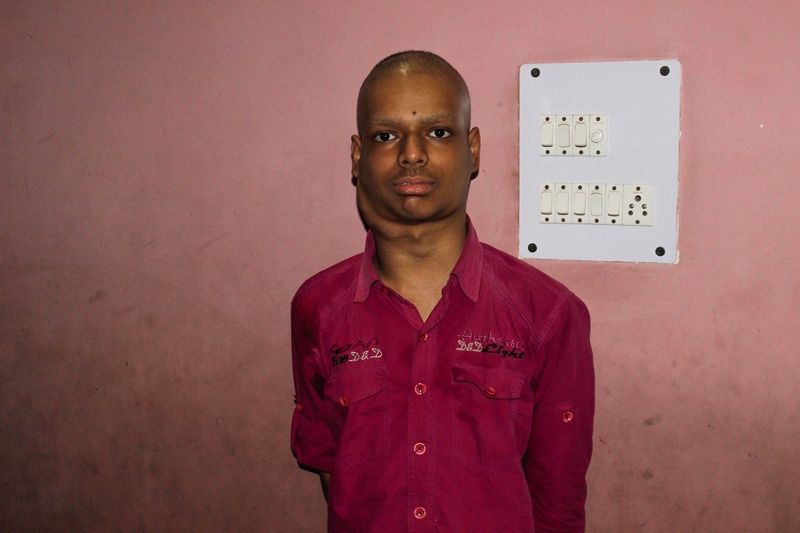 Owing to the severe health issue, Ankit had to stop going to school. His father showed me the swellings Ankit has on his neck due to chemotherapy and told me that the swellings occur after few days of chemotherapy as the chemotherapy is not affecting him properly. The tests for bone marrow transplant are undergoing. In a few days the doctors will give him high dose chemotherapy. The Dharamshila hospital refused to give chemotheraphy to Ankit and asked them to undergo bone marrow transplant for Rs 20 lakhs. The family didn’t have such huge amount of money so they shifted Ankit to another hospital called Shanti Mukund Hospital in Karkardoma since five months. 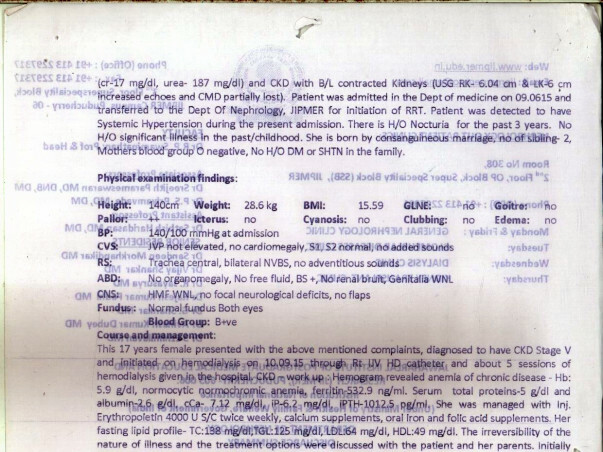 Ankit’s father has spent all the savings he had in the treatment in Dharamshila hospital which went for 1 year. Ankit is facing the problem since 2014. When Ankit started having swelling in his neck, he underwent several tests and found out the problem and since Dharamshila Hospital was nearby, they started the treatment there. Ankit’s father told then told me about the extra costs they had to pay for various tests in Dharamshila hospital which is cheaper elsewhere. They also tried in AIIMS but were very troubled with the huge crowd in the hospital and slow procedure there and opted for Dharamshila thinking that the treatment will be done soon. The family has incurred expenses of Rs 17-18 lakhs till now. 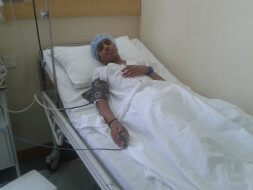 Ankit’s sister is undergoing tests to find out if her cells are matching to Ankit’s. The tests are necessary to find out if the bone marrow transplant can be done or not. Ankit’s father has not been able to go to work from five months as he has to take care of Ankit. Ankit’s sister is supporting the family by teaching in a school nearby and taking private tuition at home. She is also doing her teacher training along with it. She also mentioned that Ankit used to make good science project models which were given in school activities. Ankit’s father was able to get Rs 3 lakhs from the Prime Minister’s National Relief Fund and some support from the ESI hospital due to which he was able to manage some expenses. He needs a lot more funds and hopes that the Milaap campaign might also help him. Ankit’s father told me that Ankit has good hopes that he will recover soon.